A one-sentence comment on a recent article from our contributor, Chris Wallace. That’s what initially piqued my curiosity. Her name, Heather, linked to a site called PokerPilgrims.com. Pilgrims, eh? For poker? OK, let’s see what that’s all about. What I found on that site was nothing short of enchanting. 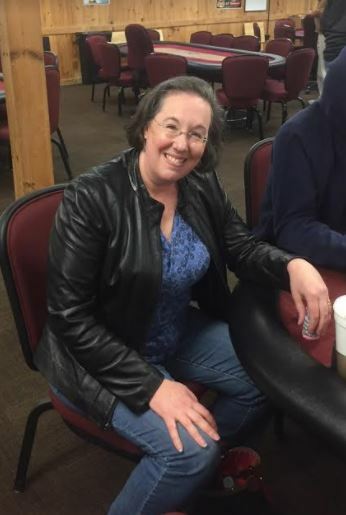 Heather Gearan and her husband, Paul, are planning to take a year-long trip throughout the United States to play poker in pretty much every conceivable location with a poker room. A unique pilgrimage, indeed! They intend to put over four years of planning into the idea before embarking on their journey, and will be documenting the entire odyssey via their website. 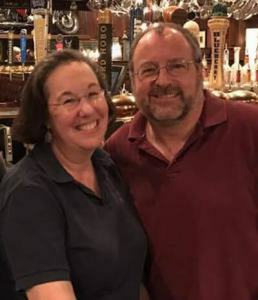 After spending a couple of hours on their poker blog, I felt absolutely compelled to learn more about this couple, so I reached out and asked if they’d be kind enough to grant me an interview. It has been a pleasure corresponding with them over the last couple of weeks, and they couldn’t have been more generous with their time. Without further ado, I invite you to sit back, relax, and meet the Poker Pilgrims. It’s one thing to plan for and look forward to taking a year to travel the country, playing poker along the way. It’s another thing to create a website dedicated to it, blog about it regularly, and share your journey with the world. What drove you to be public about your pilgrimage? Heather: Frankly, we wanted to make sure that it happened. It is such a big undertaking, and there are so many things to learn and do to prepare for a year of travel. We figured that we could use the blog to organize us and help us to focus on researching the issues that will arise from ‘How do we make sure we always have Internet?’ to ‘How do we deal with mail?’. Also, of course, where are the good tournament poker rooms and what will our actual itinerary look like? And if we can monetize the blog and save a little money for the trip along the way, well that’s a bonus. Paul: We also both enjoy writing, and this allows us to build those skills. And, as Heather said, she loves the organizational stuff, and I enjoy watching her organize things and do what she tells me. Pretty much how the blog runs, too. In planning for your year-long trip, you’ve obviously dedicated a great deal of time to financial planning and budgeting. You seem to be very meticulous, even about tracking your cash spending. That’s a habit that would obviously serve you well when it comes to keeping detailed records as pertains to your poker bankroll. Would you care to share your methodology and some tips in that regard? Heather: Well we’re both data scientists. We geek out around spreadsheets and budgets and numbers. At the end of last year, Paul created this beautiful spreadsheet for us that has our various revenue streams, with targets and calculations about whether we’re on track with each, and how much we should be putting aside each month for our quarterly estimated taxes. 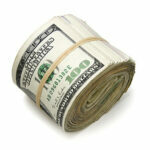 Each revenue stream goes green, yellow, or red depending upon where we are relative to our monthly target. It is a thing of beauty. 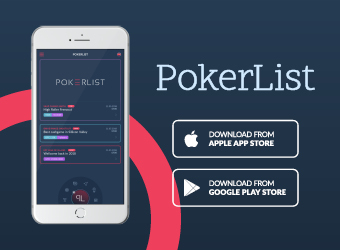 In terms of the poker bankroll, we keep detailed records of every buy-in and every penny won. It’s a single spreadsheet, but we keep individual records. Mostly because we are competitive and want to know which one of us is “winning” the year relative to the other. We’ve kept this spreadsheet for three years now. Paul won the first year, I won the second, and he squeaked past me mid-December last year to beat me by about $300. I’ll take him this year. Paul: We’ll see. She’s got an early lead in 2018, but it’s only April. Being cheap is one of my passions. I wear it as a badge of honor. I love discount deals and coupons: I once ate at a pizza chain I despise because I had a “$2 off” coupon. I love to track how we can make marginal gains in many areas in our life and calculate how that can build to thousands of dollars a year and help position us for this trip. 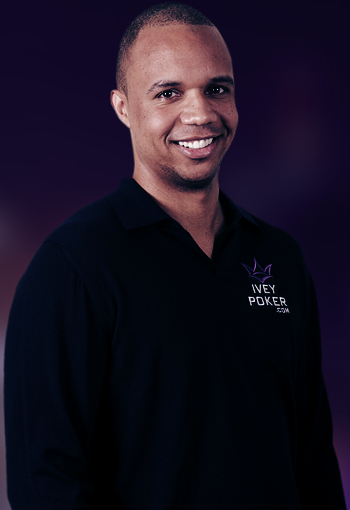 You mention that you both came to poker in your 30s, approximately 12-13 years ago, first playing free pub poker and only then moving on to real money games. What initially drew you to the game? 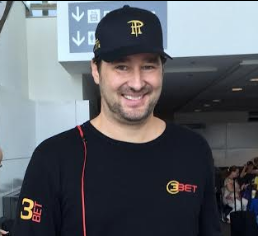 Was it the start of WPT broadcasts, watching Chris Moneymaker win at the WSOP, or something else? 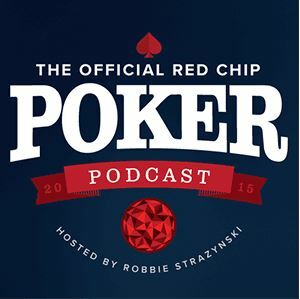 Heather: It didn’t start with Chris Moneymaker, per se, but the WSOP broadcasts each year definitely drew us in. Then I read “Positively Fifth Street” and I knew I had to try the game. Once we did, we were hooked. Poker is such a great intellectual game. So many different pieces go into playing well. Paul: I come from a big game-playing, competitive family, not poker necessarily, but a lot of Trivial Pursuit back in the 80s and 90s and many other board and strategy games. 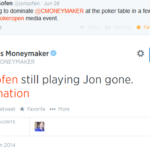 Poker was out there waiting, and the TV boom and Moneymaker effect certainly impacted me. As Heather said, the attraction was immediate. 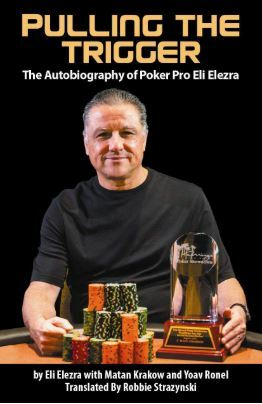 In your writings, you say that you’re mostly tournament players, dabbling in cash games only occasionally. What makes you favor the former over the latter? Heather: Frankly, a lot of it is about where we are in life and our lack of a truly significant bankroll. When we put down $150 for a tournament, we know that’s in our budget and we won’t be losing any more than that on that particular day. You really can’t do that with cash. At the same time, we both enjoy the acceleration of tournaments. You can’t just sit there and fold for hours on end. At some point you need to get aggressive and take your chances. That’s a good fit for Paul’s personality, and it forces me into a better style of play than I might otherwise fall into. Paul: I always liked tournaments more than cash even back when Heather preferred cash. I enjoy how you have to be willing to alter your style and strategies at different phases of the tournament. Your play needs to be dependent on your relative chip stack, the structure of the tournament, and various other factors. Nearly every tournament feels unique. When I read Arnold Synder’s books on tournament poker, it increased my affection for the meta-game beyond individual hands and opponents. Are you strictly Hold’em players or do you also enjoy other poker variants (if so, which ones)? Heather: Just hold’em. Omaha makes my head hurt. 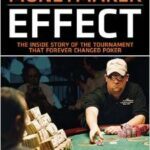 Paul: I’m so far from feeling like I’m where I want to be as a Hold’em player that I don’t even consider trying other games. Maybe after all the kids are in college and we have more time and money I’ll think of giving something else a try. 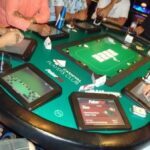 You’ve reviewed a couple local card rooms close to your home near the Boston area, and in your past travels you’ve already visited some well-known, popular casinos around the nation. 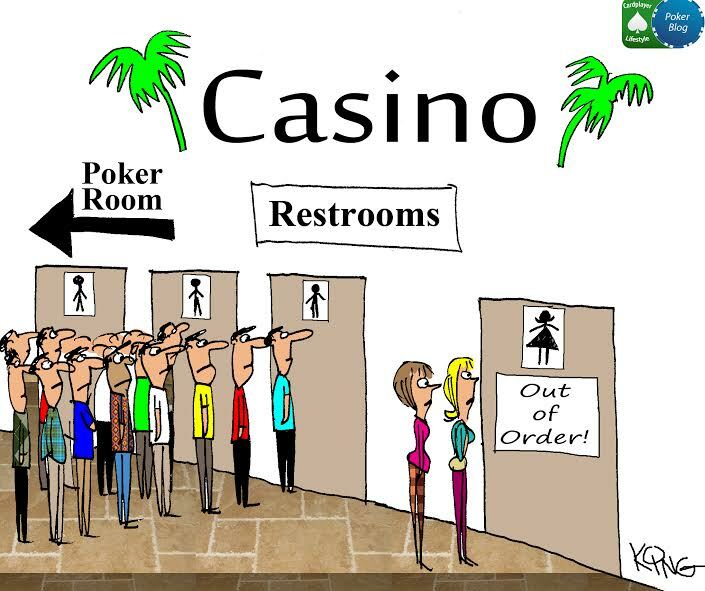 Which have been your favorite poker rooms to play in over the years? Heather: We love the Venetian because it’s bright, professionally staffed, and the tables aren’t crammed together. It doesn’t hurt that each of us chopped the final 5-6 in consecutive spring Vegas vacations and helped pay for our trip. We also really like the Playground Poker Room outside of Montreal, although we can’t seem to make money there. We also love the bright clean room at the Borgata, and the more challenging competition we have encountered there. 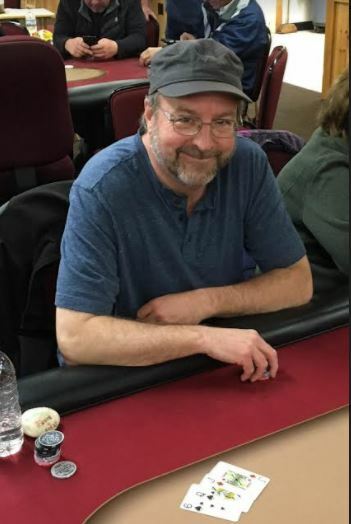 Paul: Surprisingly, one of our New Hampshire charity card rooms, The Poker Room at Hampton Falls, has the best structure for a regular tournament that we have seen anywhere. For $90 you get 30,000 chips and 30-minute blind levels with a very sane blind and ante structure. The tournament runs every Friday and most Saturdays and they usually get between 80 and 120 players. The room is very well run with plenty of active cash games going, too. We’re fortunate that this is our local venue. Approximately how often do you currently travel to play poker? Have you ever been to the WSOP or witnessed/played in a well-known poker festival/tournament series? Heather: We probably travel about twice a year to play poker. Vegas and Montreal are our most common destinations for poker travel. We still have kids in high school, so more travel isn’t really possible right now. We have not been able to make it to the WSOP yet, but that is definitely in our future. We have played WSOP circuit events and MegaStacks Special events at Foxwoods and the Borgata, but nothing with a buy-in over $500 as yet. How about home games? Do you ever participate in or host them? Paul: I still can’t bear to talk about that much. I watched the guy I was neck-and-neck with catch two-outers twice in one game to survive. I would have had a mathematically insurmountable lead going into the final month – instead he did. Great, now I need to call my therapist again. On to a different topic then 🙂 You’ve both trained professionally as clinical psychologists and you’re both currently freelance data scientists and writers. None of that indicates any experience running a website. Considering that it’s just a few months old, it seems to me that you’re webmastering quite well. 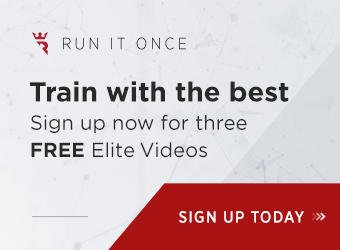 How long did it take you to set up PokerPilgrims.com and how much time do you dedicate to maintaining your blog and adding new content each week? Heather: First of all, thank you. I’m still in that stage where all of the flaws are driving me crazy. So I appreciate you saying that. We actually hosted a humor blog for a couple of years. We had no intention of monetizing it. We just wanted to practice our writing and have fun. So this is not our first go-round with website development. I am also an obsessive learner. When I throw myself into something new, I read everything I can find about it and do everything I can to optimize the experience. Paul: It’s all Heather. I just write and try not to break anything on the site. You guys recently shared a spirited (and hilarious) debate you had about whether to take your year-long journey in an RV or rather via the car + AirBnB option. Paul’s preference (AirBnB) seems to have won out as he’s a bit wary of living in an, ahem, “ambulatory togetherness coffin.” It kind of just makes me wonder, which of you will be doing the bulk of the cross-country driving? Heather: Throwdown Thursday was a popular feature on our humor blog, so we thought that it would be fun to revive on Poker Pilgrims. It’s a fun way to explore multiple perspectives on an issue and to get a bit of our personalities out there. As to the driving, it will probably be a struggle to the death (hopefully not literally). We both like to be in control, and neither of us likes to passenge. In the end, we’ll probably end up splitting the driving fairly evenly. Paul: We both recognize that the other is a decent driver, yet also always seem to have some oh-so-helpful critique about each other’s driving techniques. There will invariably be tense moments on our cross-country trip. We bounce back well though. Although I admit to having some fear of getting tossed from the car near Dubuque and watching Heather speed westward. Your planned starting date is September 2022, about four-and-a-half years from now. You also mentioned that this adventure is something you started thinking about a couple years ago already. 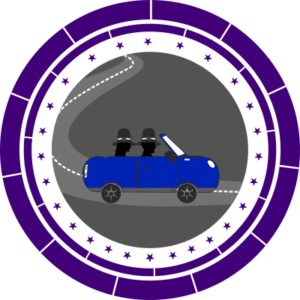 With such eagerness and excitement for your poker pilgrimage, do you think you might get tempted to bump up the timeline a little bit and set out sooner than you anticipate? Heather: Oh, we wish we could. Unfortunately, the date is pegged to when our youngest kids go off to college. No wiggle room to take off earlier than that. After all the years of planning, you’re practically guaranteed to have a once-in-a-lifetime kind of experience. It’s obviously far in advance now, but have you given any thought to what you’ll do once the trip is over? Maybe you’ll be tempted to just keep on going if you guys manage to fare well at the poker tables along the way? Heather: We think about it all the time. I mean it’s April and we’re still getting snow in Boston. We’re both about done with New England winters. So, if we like the itinerant life, we may keep it going. We may also settle back up here and find somewhere warm each winter to go spend a couple of months and play some serious poker. Paul: After living the suburban lifestyle for a couple of decades, I’m definitely up for a change. It has been great to raise kids here, but every time we travel I get enchanted by being in a new place that offers a different perspective. Hey, there are some great casinos in Europe too! Could be up next. In combing through the Poker Pilgrims blog while researching for this piece, I came across a post from Paul called Stumbling Toward Optimism. Intrigued, I was shocked to discover that he and Heather were not optimists by nature. 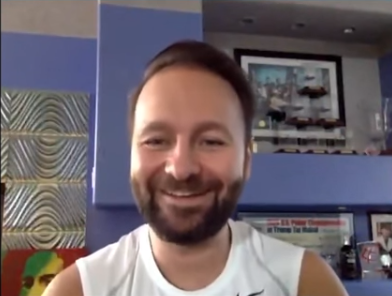 By contrast, the entire tone and outlook of their site, and dare I say the concept of a poker pilgrimage in the first place, practically bursts with positive vibes. How beautiful. What precious sentiments. What a splendid vision. And to think that poker will be a vehicle via which Paul and Heather will hopefully reach that destination is nothing short of awesome. I’ve subscribed to the Poker Pilgrims mailing list, have followed them on Twitter and Facebook, and I suggest you do the same. I’ll be following along as they progress towards their pilgrimage and, if I were a betting man, I’d wager a hefty sum that it’ll be a fun ride. Cheers to you, dear Gearans, and happy poker travels! Thanks for checking out the article, Sean! Glad you enjoyed it and yes, we agree!